All lovers of Gracey Manor and Alex and Ani, this one’s for YOU! 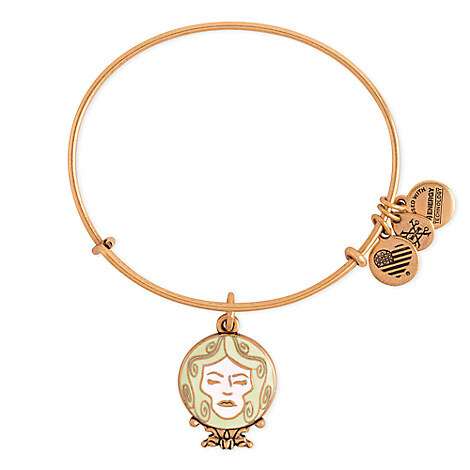 This Madame Leota Bangle is awesome enough with her face on it, but it glows in the dark, too! Perfect for the slightly Haunted Mansion-obsessed fan! And speaking of slightly obsessed fans: have you ever hosted a Haunted Mansion Party? If so, let us know about it in the comments below! Herearound up of our best tips and tricks for Hosting the Best Haunted Mansion Party EVER! I wish they had this in silver.